Last updated 06 April 2016 . By Chris Sharpe. Surrounded by bars, pubs and restaurants, you'll find refuge by escaping street level Hammersmith and descending down the steps into the basement of the Lala Lounge. Bizarrely enough, at the base of the steps you’ll actually walk right onto the main stage, that’s how close to the action you’ll be. Not an inch of space is wasted here, with the semi-circular bar at the back of the stage. They have a decent selection of reasonably priced beer, wine and spirits, but that's not what you are here for at the end of the day. Take your seat suitably refreshed and you realise that this will be one of the most intimate gigs you’ll ever experience. Hoping to avoid a heckling? You might want to avoid the front row at The Comedy Tree. The order of the day was risqué jokes, spot-on impressions with a side of rib-tickling anecdotes, inducing full on tears of laughter from members of the audience (myself included). Presiding over the action was MC Pete Jonas, whose international banter and Aussie charm I previously had the pleasure to enjoy at the Comedy Carnival. 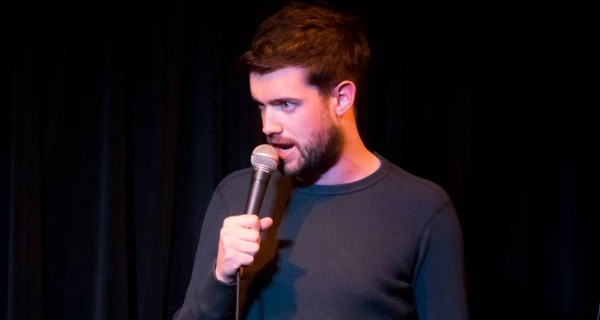 To our surprise, we were treated to the news that TV comedian Jack Whitehall would be the first act of the night, setting the audience into fits of laughter with his top toff gags. Following Whitehall, we delved into the world of Red Richardson. The So You Think You're Funny? finalist's dry delivery and dark humour was spot on. After a brief interval to grab a few more libations at the stage bar, we were ready for the penultimate act. 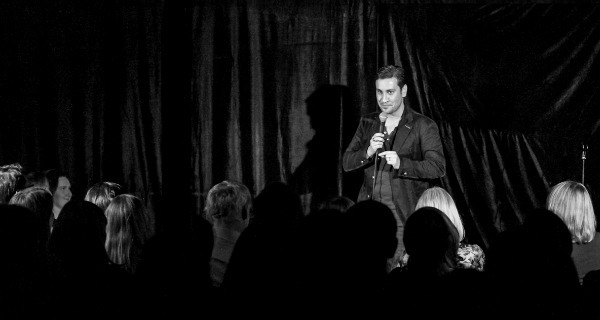 Newly full-time comic Jack Barry's endearing self-deprecation and amusing observations meant he was one of the favourite funny men of the night. Ending the night, comedy circuit regular Stefano Paolini gave a swaggering performance that poked fun at his half-English half-Italian heritage. A master of both impressions and beatboxing, the Brixton-born Mafioso-wannabe rounded off the evening in true class. TV funny-man Jack Whitehall opened a riotously hilarious night featuring all kinds of different comic acts. A mixed crowd of young professionals, antipodeans, internationals, groups of friends and couples gave the venue a lively atmosphere. As well as the seating located directly in front of the stage, there were plenty of tables dotted around that gave punters a chance to sit back and relax. Overall, the intimate nature of this event meant the air was heavy with anticipation, excitement and - of course - a lot of laughter. The close-knit nature of the Lala Lounge creates a truly intimate ambience. 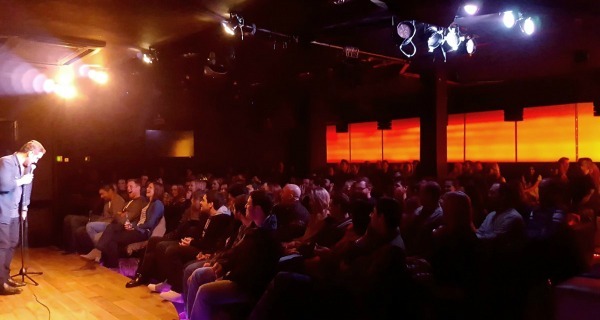 A stellar billing of on-the-up entertainers and established comedians means you not only get a diverse array of comedic styles at The Comedy Tree, but often you'll have famous names dropping in at the last moment. Top it all off with an ambience that could rival any comedy club in the world and you've got one hell of a night out.